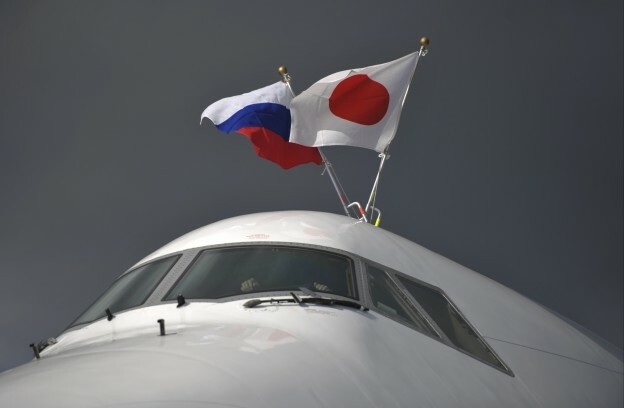 The monthly articles that I have been writing since July on Japan-Russia relations are at an end, and this is going to be my final contribution to the series. There have not been vital events that need commentary in December; so in this last contribution I want to touch on one issue that was not discussed in depth in the past articles, and then introduce a short wrap-up of my views on current Japan-Russia relations. Coincidentally, I happen to have had two speaking occasions in December on Japan-Russia relations, first at the Temple University Japan Campus organized by the Institute of Contemporary Asian Studies (ICAS) on December 3, which is available on YouTube.1 The second was a free discussion, held on December 14 in an old Japanese inn in Tokyo, organized by Japanese university students who had some experience in studying and spending their student life in Russia and who are willing to follow up their Russian experience. Some of the questions, among others, posed in these two fora overlapped and could be summarized roughly as follows: if a part of the four islands (let us say Habomai and Shikotan) are returned to Japan, or a kind of joint rule is agreed for some islands (let us say Kunashiri and Etorofu), who will actually move from Japan to live there? Are not contemporary Japanese too accustomed to the wealth and comfortable life in Hokkaido or Honshu that there will not be people who are prepared to endure the hardship on these islands? What do the Japanese intend to do on the returned islands? What are the material benefits that they can obtain from these islands? It was quite thought provoking that the above-mentioned questions were posed from the two audiences, which clearly differed in their generation, social status, and even nationality. With some difference of nuance and emphasis I tried to answer by making the following three points. First, I reiterated my deeply rooted conviction that it was not to regain material benefits but it was the historical memory in relation to what happened in the summer of 1945 that became the primary and fundamental motive of Japan’s claim over the islands. I referred to the Soviet surprise attack on August 9 in violation of the Neutrality Pact of 1941, the atrocities committed against the civilians in Manchuria and the northern part of Korea, the deportation of 600,000 soldiers to Siberia after the capitulation, and the occupation of the Kuriles and the four islands against the declared principle of withholding territorial aggrandizement based on the Atlantic Charter and the Cairo Declaration. Yet, I emphasized that the events of that summer have to be put in context, which requires balanced historical knowledge of modern and contemporary history, including the history of colonialism and imperialism in East Asia as well as Japan’s rise after the Meiji Restoration and how that eventually led to its expansion in Asia, turning finally into the war against the United States and Great Britain, resulting in Japan’s total defeat and occupation and postwar pacifist development. If the Japanese, particularly the young generation, fail to acquire this basic knowledge of their history, most likely the historical narrative on which my assertions about Japan-Russia relations is based loses its meaning and Japan’s claim over the islands would lose its thrust. Herein lies the fundamental default of postwar Japanese education, that we failed to teach the young generation minimal and basic knowledge of modern to contemporary history, particularly that of Japan’s history from the Meiji era to the contemporary period, stymied by nationalist and apologist differences. Even if my contention proves to be correct and the primary energy for Japan’s territorial claim originates from seeking justice regarding the past, what Japan would and should do once a solution would be introduced is an entirely different matter. History counts less when we consider how to govern territory now under one’s rule, or now having a totally different type of access than before. The first vision after the resolution is that the four islands, in whatever legal status they may have, should become a true area of cooperation for the Japanese and the Russians, a symbol of friendship, mutual understanding, and cooperation. Already for some time, the Japanese government has stated that the right of the Russians who want to stay on the islands shall be respected, but I am implying something more. Not only should their legal right be respected, but those islands, which have stood for nearly seven decades as a symbol of distrust between the two countries, should now be transformed into a symbol of friendship and cooperation. This is not just a legal matter. It is a matter of high politics and long-term strategy. Idealistic and liberal as it may sound, it seems to me that Japan cannot find a proper vision of the future islands after some resolution without the new image and symbolism of friendship between the two countries. The second vision after the resolution concerns what to do with the islands. The question of who would be ready to return to the islands is perfectly legitimate. What kind of benefits the islands may provide is not pertinent for the motives behind claims to the land, but is very pertinent for owning, administering, and engaging with those living on the islands. Fisheries and fishery related industry have long been considered to be the natural and major industry on and around the islands, but after all, fishing from Hokkaido has proven to be distinctly possible without moving to the islands. Are the fishermen of a young generation really willing to start a new life on these islands, possibly trying to develop fishery products, but forsaking the material comforts that the Japanese homeland may offer? Another possibility might emerge from the potential development of rare metals, which no doubt would attract the attention of risk-taking entrepreneurs. But at this point in time there is no certainty about such development. One more rumor that circulated in 2006 to 2007, when the idea of splitting the territorial space into two arose, was to utilize the northern part of Etorofu, which would remain as Russian territory, for nuclear waste disposal, an idea that profit-seeking electricity companies in both countries might find of interest, but one that is totally unacceptable to ecofriendly opinion makers of both countries. In contrast to those profit-oriented future visions of the islands, there is a completely different set of visions based on a positive evaluation of the ecological and nature-rich environment of the islands. Already in the latter part of the 2000s, the Hokkaido-based Youth Trade and Commerce Association presented a vision of establishing a national park from Shiretoko in Hokkaido to Urupp in the Kuriles, embracing the four islands in between, thus possibly overcoming some legal difficulties related to sovereignty. Ironically the fact that these islands were left essentially underdeveloped at the very end of the Russian Far East now make them uniquely valuable for their untouched natural beauty. If the common task of Russian and Japanese developers became the creation of a nature-friendly kingdom of eco-tourism symbolizing the twenty-first century value of sustainable development harmonious with nature instead of the twentieth century value of development just enhancing material welfare, there may be a considerable number of Japanese youngsters who would genuinely like to move to the islands to be engaged in such an exercise. 2. In the international arena, economic interdependence centered on energy trade and mutually profitable investment from Japan to Russia as well as geopolitical power balancing raises the prospect of drawing the two countries closer against the backdrop of a rising China. 3. In domestic politics, we now see a sufficiently strong government under Putin and Abe, both sustainable at least for another few years. It certainly does not mean that both governments have no difficulty garnering support and no longer appear vulnerable, but they seem to be sufficiently strong to take difficult decisions. 4. One aspect that cannot be missed is that both Abe and Putin are leaders whose political power rests on a nationalist-patriotic-power oriented constituency. A leader who is capable of making concessions on difficult issues such as national security or territorial disputes is more often than other leaders supported by a conservative and nationalist constituency, as in the case of Richard Nixon normalizing relations with Maoist China during the Cultural Revolution. 5. The course of dialogue set forth in Abe’s visit to Moscow in April 2013 is continuing. Reports indicate that at the top level exchanges are relatively smooth. A wide range of issues, including economic and defense cooperation, seems to have certain momentum. But on the most difficult issue, the territorial dispute, no reports are available that options for hikiwake (a draw) are being formulated at the official level. In that sense, nothing determinative can be pronounced yet at this point.